DAVID LE/Staff photo. 6/3/15. 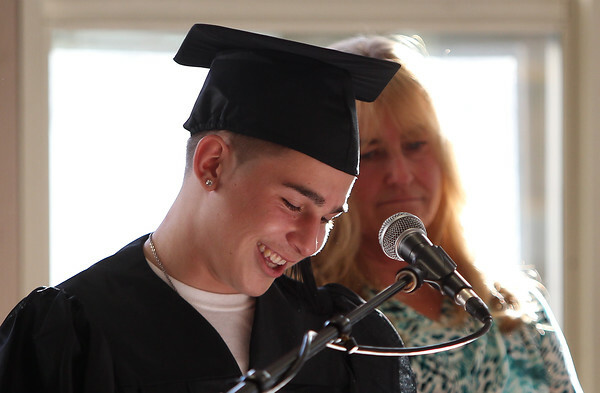 North Shore Recovery High School graduate Shane Kozlowski, smiles as he reads one of his favorite memories of his best friend Daniel Amor, who was one of two North Shore Recovery High School students who tragically passed away earlier this year from a heroin overdose.